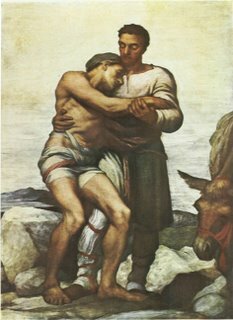 This Sunday the Gospel shares the account of the Good Samaritan. The story tells of a man, wounded by robbers, left by the roadside. A priest, a Levite pass him by. A Samaritan, symbolic of those perceived to be of lesser value, stops, cares for the man living the love that Christ calls us all to live. Today there are more people than ever on the roads of life who are wounded. Sometimes physically, even more often in soul and spirit. Yet the failed practice of the priest and Levite is many times the norm..even among Christians. In our times we often will hide behind the excuse that it is the job of the professional, or the idea that “I am not trained”. So it is left for the firefighters, paramedic, doctors or other “expert”. Even within the Church it is common to leave it to the priest, deacon, or “professional” to help another. But it is not about expertise. It is about love for our fellow man or woman. 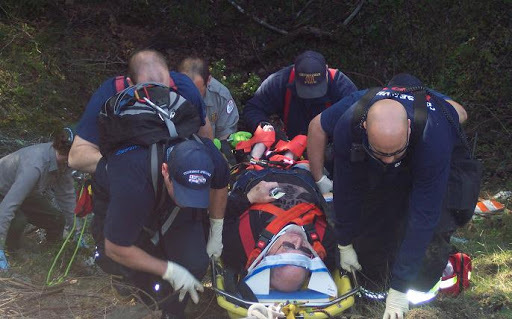 As a firefighter I could not have responded to the many sick and injured that I helped care for IF first a loving soul had not first cared enough to stop and help as best they could. We all are called to care for the many wounded with our prayers, our helping hands and hearts, with His love.